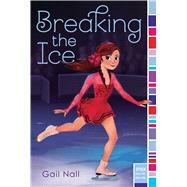 Figure skating is Kaitlin’s passion, but she lands on thin ice after a meltdown in this funny, touching story. Because when you fall down, you have to pick yourself up—even if it’s in front of judges and a crowd. Kaitlin has always dreamed of being a champion figure skater, and she’s given up a lot to pursue her passion. But after she has a totally uncharacteristic tantrum at a major competition, she’s dropped by both her coach and her prestigious skating club. Yet learning a whole new program right before regionals is a huge challenge, and when she realizes that all the other area skaters target Fallton for pranks, she begins to wonder if joining the Fall Down Club has any upside.